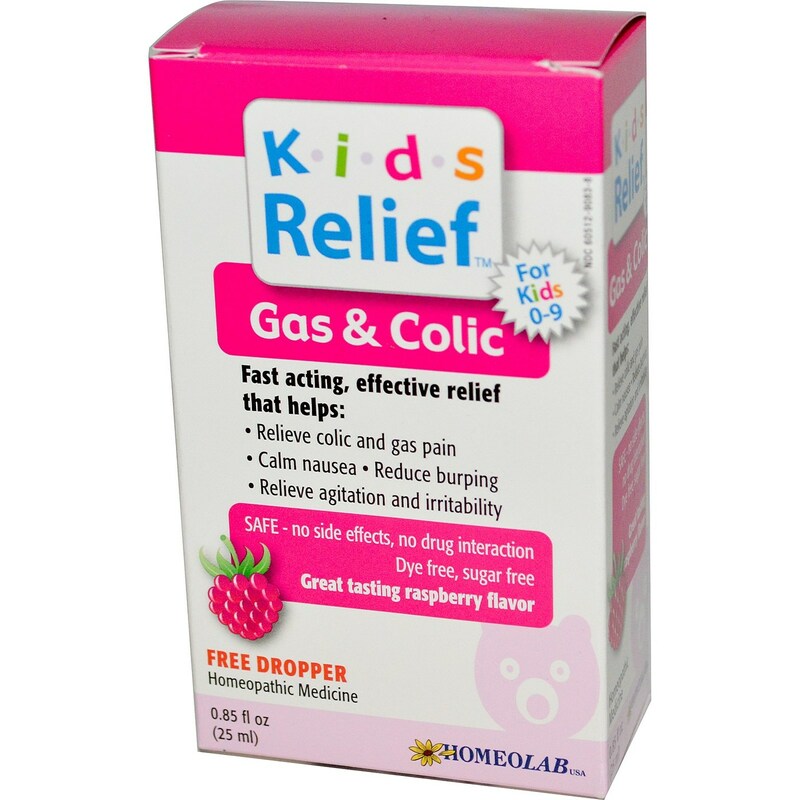 Homeolab USA Kids Relief Gas & Colic relief is both dye and sugar free. Advertências: Do use if seal is broken or missing. Stop use and ask a doctor in cases of high fever or if symptoms worsen or persist for more than 2 days. Keep out of reach of children. Store at room temperature. Active Ingredients HPUS: Colocynthis 6X (Bitter apple), Magnesia phosphorica 6X (Magnesium hydrogen phosphate), Chamomilla 6X (German chamomile) and Dioscorea villosa 6X (Wild yam). Recomendações de uso: Do not use more than directed. 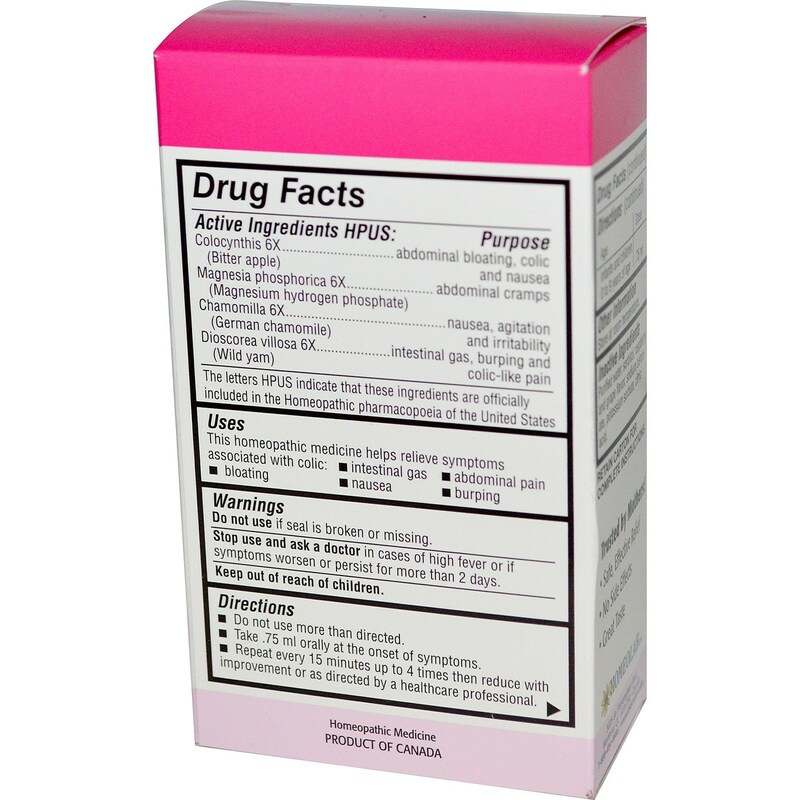 Take .75 ml orally at the onset of symptoms. Repeat every 15 minutes up to 4 times then reduce with improvement or as directed by a healthcare professional. Infants and children 0 to 9 years of age - .75 ml. Retain carton for complete instructions.